The RES-3242GC-E is a 26-port rack-mount managed Redundant Ring Ethernet switch with 24x10/100Base-T(X) and 2xGigabit Combo ports with a SFP socket. Offering complete support of Ethernet Redundancy protocol, O-Ring (recovery time < 10ms over 250 units of connection), Open-Ring, and MSTP/RSTP/STP (IEEE 802.1s/w/D) can protect your mission-critical applications from network interruptions and temporary malfunctions with its fast recovery technology. This ethernet switch can be managed, centralized, and made convenient by a powerful windows utility — Open-Vision. 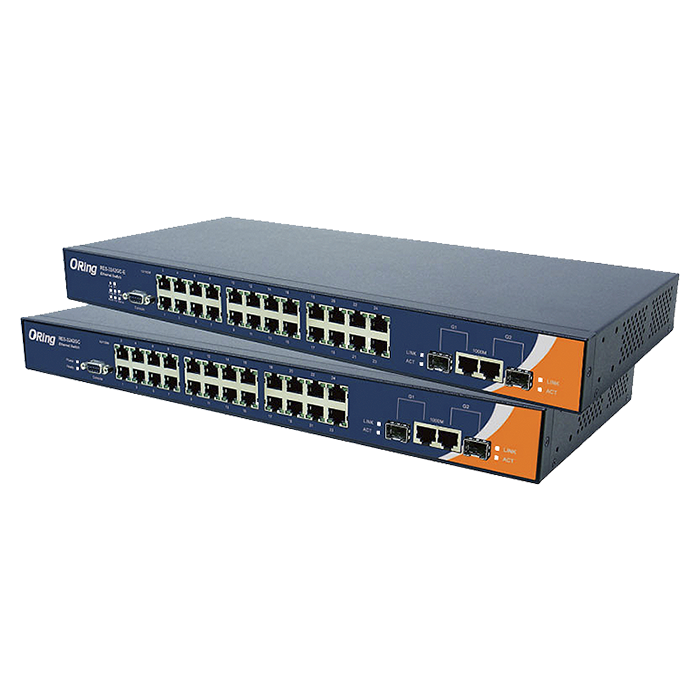 The RES-3242GC-E also supports functions of network management, such as SNMP, RMON, Port Trunking, and Port/Tag-based VLAN security. The RES-3242GC-E model supports one full-range AC and dual DC power inputs from +12~48 VDC or -12~-48 VDC, while still offering extend operating temperature ranges from -40ºC to 70°C. One additional relay output is provided for system alarm warning, making the RES-3242GC-E one of the most reliable choices for highly-managed and Fiber Ethernet applications.